Halloween is right around the corner. I am excited to say I have officially begun my Halloween decorating. It takes weeks, yes, you got that right weeks. I go all out. I even decorate the bathrooms here at Casa Linda. It is great fun and is in preparation for my annual pumpkin carving party. We invite family and friends to join us. I hand out prizes to the most creative, the scariest, the most traditional, the largest and the smallest pumpkins. In years past I have also given prizes to the most glamorous pumpkin and the most whimsical pumpkins. The kids go crazy when they hear their name called out. I give first, second and third place prizes for all categories. I have so much fun shopping for prizes and I do try to change it up every year. 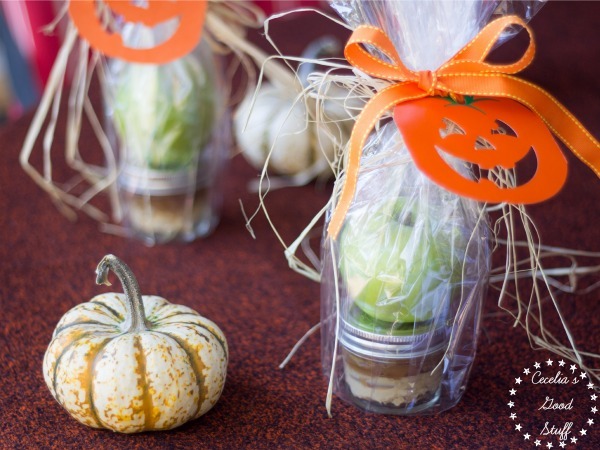 Stay tuned for more yummy Halloween treats and photos as I start to decorate my house. I love hearing from you, so follow me on Facebook and Pinterest for the latest posts and Halloween pictures. 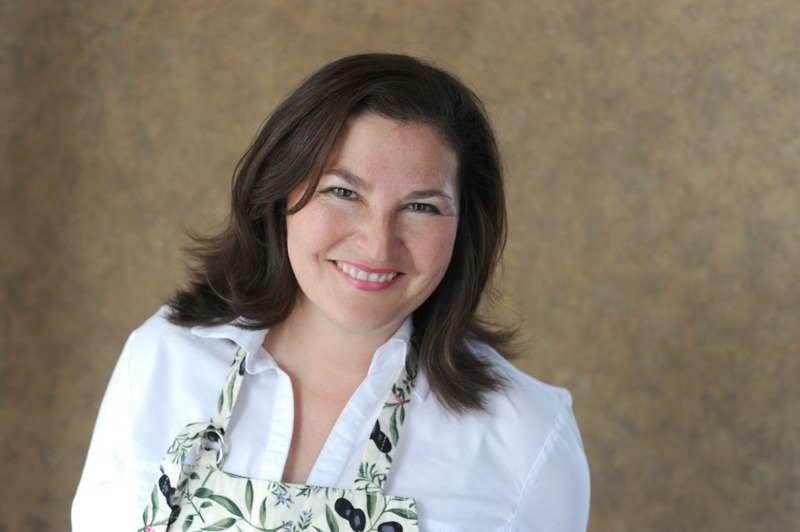 In a mixing bowl mix cream cheese with 2 of the caramel dips (4 ounces caramel dip). Mix until smooth and divide evenly amongst 8 jars. Spoon 1 each of the remaining 8 caramel dips into each jar, top with Heath Bar milk chocolate crumbs evenly among the 8 jars. Wipe clean and place lids on each jar. 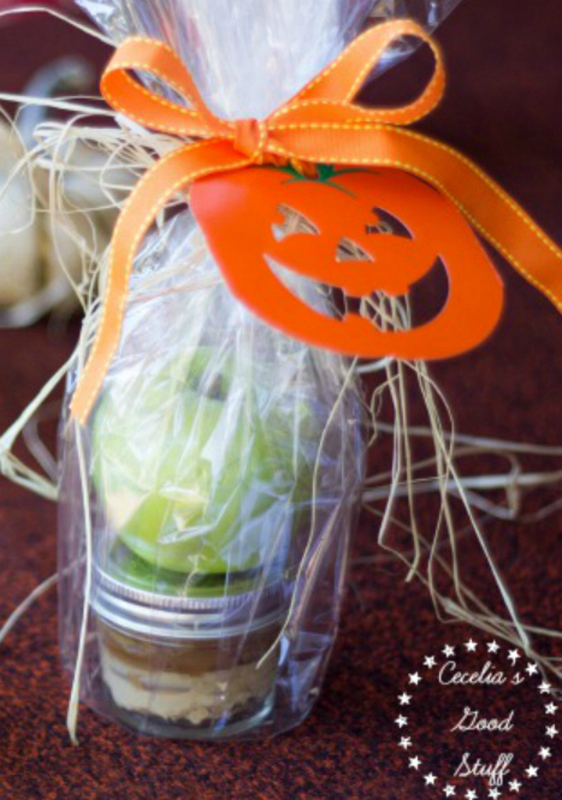 Top each jar with a Granny Smith Apple and wrap with clear cellophane. Tie with ribbon and decorate accordingly. Keep refrigerated until ready to serve or pass out as gifts. Keeps for 3 days. These are great teacher gifts or party favors. 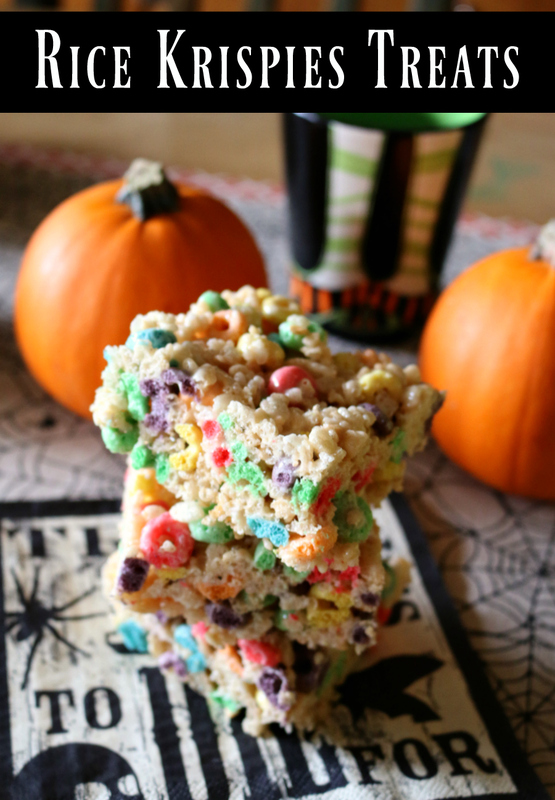 Recipe for Rice Krispies Treats with Fruit Loops – this makes an awesome Halloween Dessert! 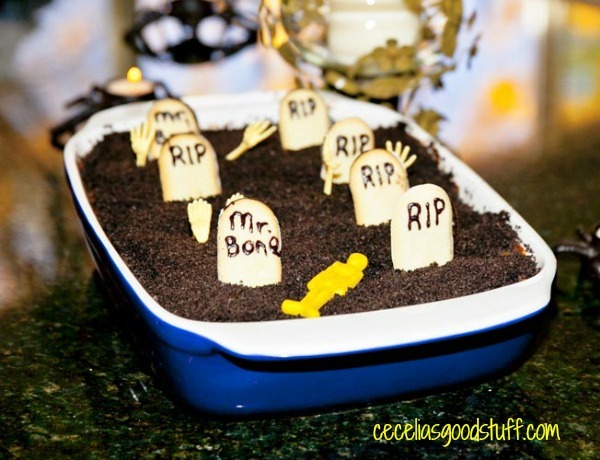 Oreos with chocolate pudding make a fun Halloween Dessert!